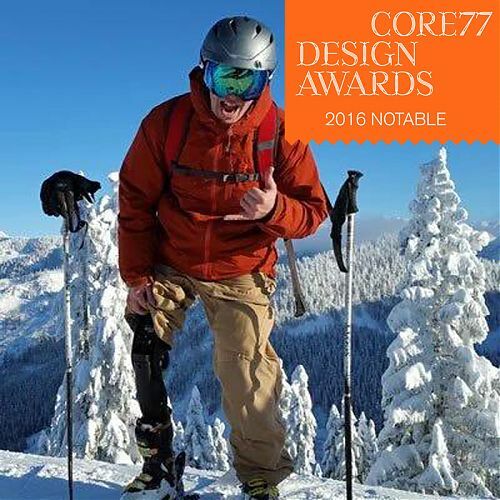 The Crossover™ knee is the worlds' first Hybrid prosthetic knee that can be used for everyday walking and —with simple additions/adjustments—can be used for low and high activity sports. The main issue with knees designed for walking or sports are that they are only good at one thing. Walking knees are good for walking and not sports and sport knees are not good for walking. This becomes a big problem for the user with either set up, real life transitions from one activity to the next. 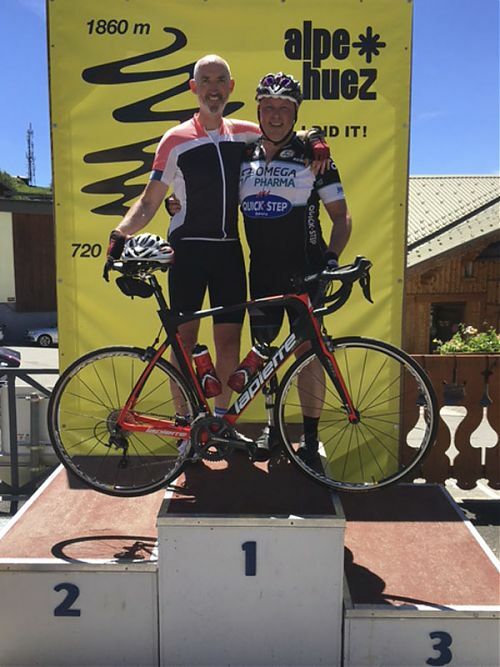 Now with the Crossover knee, we have bridged that gap and develop a hybrid knee that delivers high performance in all activities, walking or sport. 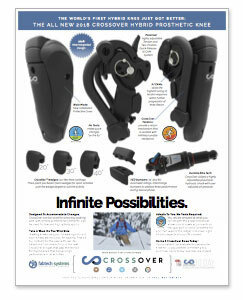 Only CrossOver offers you our patented highly adjustable Tendon and Three-Position X/CAM™ System. Incorporating successful hydraulic walking knee designs, the Crossover™ knee possesses the unique advantage of having the ability to add our patented highly adjustable Tendon and Three-Position X/CAM™ System when the user wants to participate in low or high activity sports or other activities. Once the knee is set up, the Crossover requires NO TOOLS to make quick changes "on the fly" to address the every changing sport environment. In the ambulation configuration the Crossover™ knee functions just like a single axis knee unit, utilizing a pneumatic/hydraulic shock with micro adjustment capabilities and a unique "VED" multi-durometer impact inter-changeable bumper system to address swing and stance gait phases. Under normal ambulation conditions no tendons and X/CAMs are used. 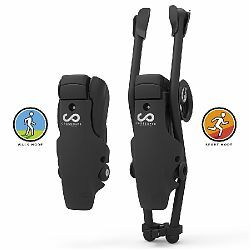 However, the tendon and X/CAM™ system may be used for highly active walking situations like—for example—back packing or hiking. 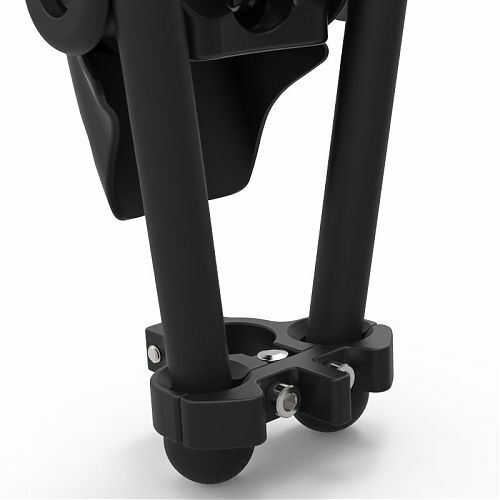 The Crossover™ knee utilizes a highly adjustable pneumatic/hydraulic cylinder to control flexion and extension adjustments. 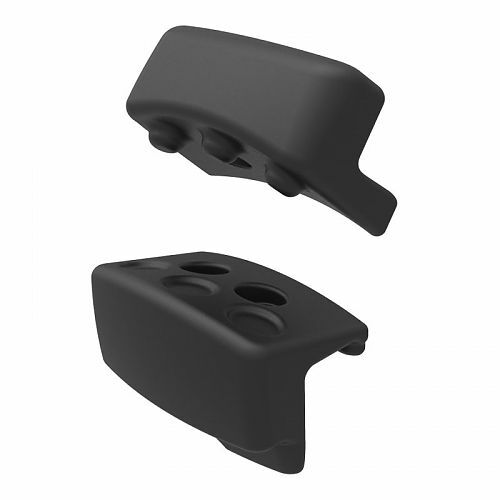 Variable Extension Dampening "VED" bumper system are also used to address stance phase. In the sport mode configuration the Crossover™ knee functions the same as in the ambulation noted above. 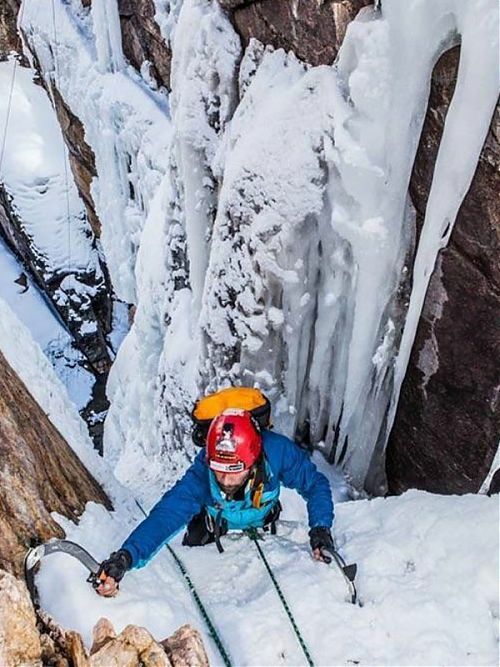 But, when combined with the relatively linear spring rate of the tendons and X/CAM™ system the Crossover™ delivers a smooth even energy absorption and return. It is this smooth isotonic stability that makes the Crossover™ knee such a good choice for rehab and sport applications. Under sporting conditions, the tendon and X/CAM™ system are generally used. This system takes a user about 3 minutes to add to the knee. Crossflex™™ adjustable pre-flexion wedges may also be used to position the user into a more pre-flexed position. For example, snowboarding uses a 30° pre-flexion position. In general more air is added to the shock during heavy sport activities in combination with the tendon and X/CAM™ system. Demo A CrossOver Knee Today! Please download and review or CrossOver Knee Evaluation Program PDF. 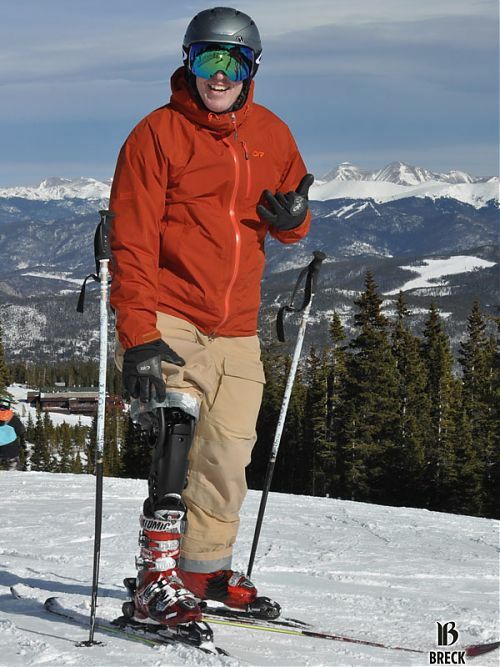 You or patient can evaluate the infinite possibilities of this unique and extensible knee for 10 days before committing to a purchase. Apply today. Supplies are limited. The tendon system is the heart of the Crossover™ knee, offering a highly variable and infinitely tunable resistance and return mechanism. This relatively linear spring rate of tendons and X/CAMs system delivers a smooth, even energy absorption and return. This patented tendon and X/CAM™ system is what makes it possible for the user to get extension/resistance moments that provide the needed assistance to enable exiting and absorbing the extreme flexion moments associated with sport activities. This system is comprised of four primary components: tendons, tendon connectors, three (3) position X/CAM™ guide wheels, and lower tendon connector. One OR two tendons may be used at a time. The primary goal in setting selections is to find the winning combination that provides the optimal flexion resistance and extension assistance that will balance forces like a natural leg for the activity the user is doing. The idea is: "helping, but not hindering." The carbon tendon connectors form the proximal connection between the socket and the tendon system. These connectors form the pocket that the flattened ball end of the tendon slips into. 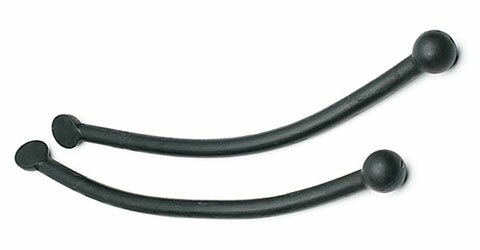 They are connected with removable hardware or they can be bonded to the socket. The Lower Tendon Connector connector can slide up or down the pylon, and is used as additional adjustment for the tendons. The lower tendon connector is the distal attachment point for the ball end of the tendon. This connector can slide up or down the pylon, and is used as additional adjustment for the tendons sliding distally to increase tension and proximally to reduce tension. The lower connector that comes in the kit is a designed to fit a 30mm pylon and is hinged for easy on and off. The X/CAMs allow the highest tuning of tendon response within further progression of knee flexion. 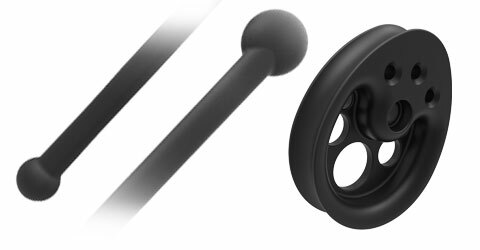 To enhance the fluid dynamic feel of the tendons a three (3) position tendon X/CAM™ Guide Wheel system is used in conjunction with the tendons at the knee axis. These X/CAMs allow the highest tuning of tendon response within further progression of knee flexion. Having a tendon resistance properly tuned within a specific range of flexion is very important as it means the user can tune specific points in flexion for the tendon to CAM into action, offering additional support where it's need or CAM out the energy for explosive returns. 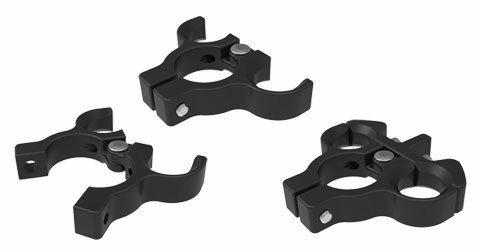 Because of this X/CAM™ action Crossover™ users also achieve much lower Preflexion Resistance allowing them to conserve much needed energy while still providing the power and support needed flexing 25 degrees and beyond. 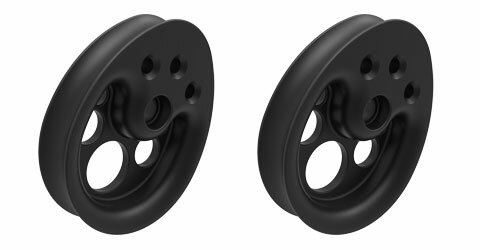 Each X/CAM™ offers three levels of progression and an additional 4th non-pinned option on each side, and can be used with the Crossover™ tendons in singles or pairs. 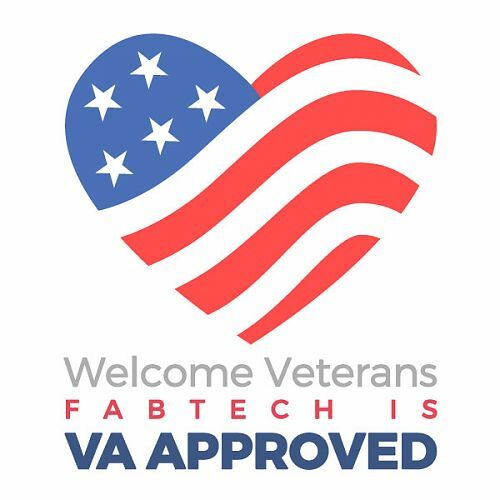 These selections offer an unsurpassed series of options within the full range of flexion that can all be done on-the-fly without tools. 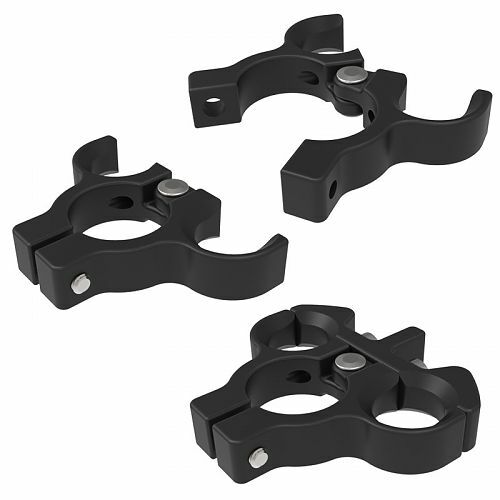 The X/CAMs can also be utilized in reverse (4th option) or in a non-pinned free movement position delivering the identical performance of the previous BTK model with a round guide wheel. Pos.1 (single dot): This position is suggested for the least amount of X/CAM™ effect with knee flexion. Least amount of resistance. Pos.2 (two dots): This position is suggested for a mid-range of X/CAM™ effect with knee flexion. Middle range of resistance. Pos.3 (three dots): This position is suggested for a maximum X/CAM™ effect with knee flexion. Maximum range of resistance. Pos.4 (no locking pin): In this position the X/CAM™ is in a FREE motion state with no increased resistance. This position is suggested if the amount of flexion tension with the tendon is desired in the very least amount of tension as the X/CAM™ will not engage during knee flexion. The Crossover™ knee utilizes a pneumatic/hydraulic shock. 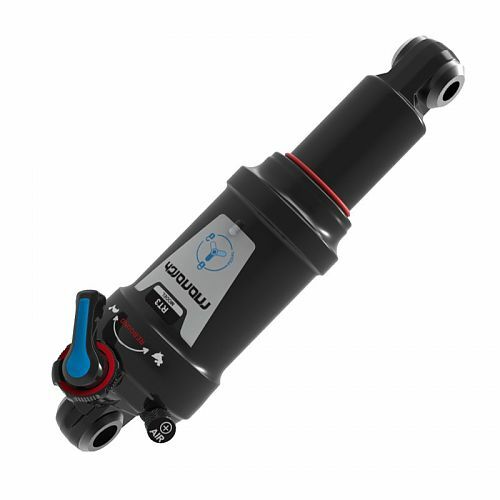 The Crossover™ knee utilizes a pneumatic/hydraulic shock. 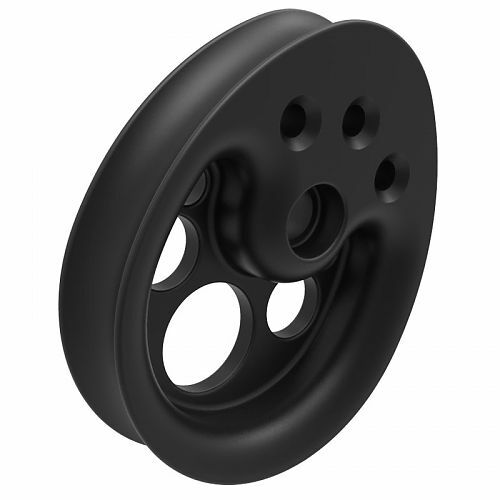 This shock uses a combination of air, oil and valving to control and change flexion and extension moments. Air pressure is user adjustable and the regulated air spring/air pressure will dictate how firm that spring is. The user controls will regulate flexion and extension rates. Similar in function to the S-N-S Mauch units this pneumatic/hydraulic shock provides the ability to manage average ambulation requirements, and when combined with the tendon, X/CAM™ and Crossflex™ wedges provides the additional dampening and rebound for high activity sports. 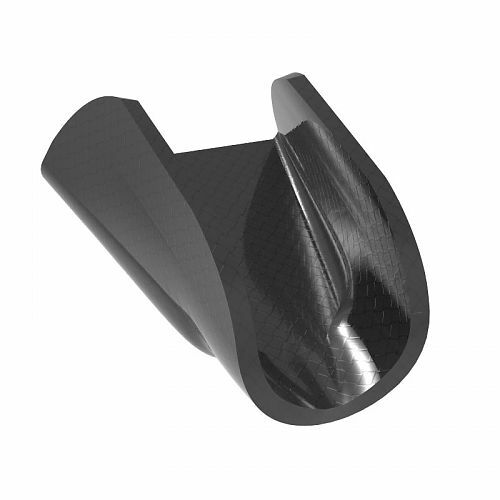 Crossflex™ wedges are designed to act like knee cartilage. Crossflex™ pre-flexion wedges are a mid-durometer foam wedge system that is user added to change the pre-flexion angle/position per sport activity. Different sports require different pre-flexion settings. 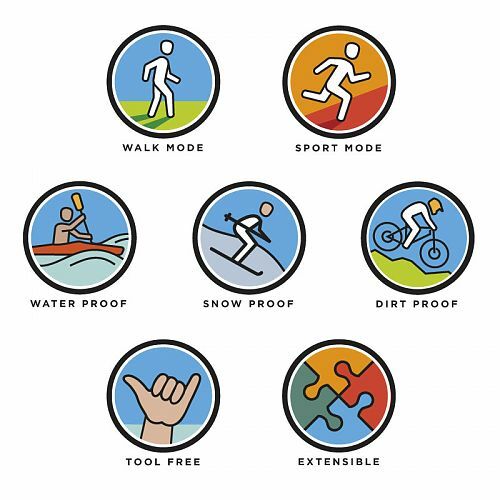 Snowboarding for example may require 30° whereas mountain biking may do better at 10°. Crossflex™ wedges are designed to act like knee cartilage and provide a small amount of compression absorption. 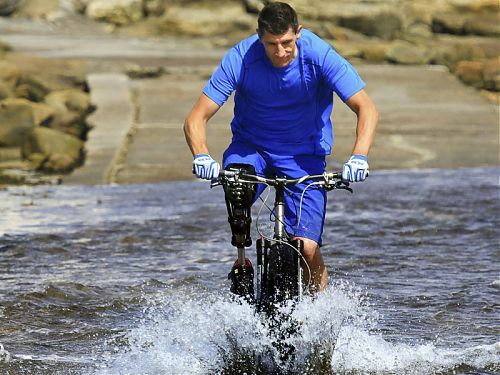 This feature absorbs a small percentage of impact energy keeping it from directly translating into the prosthetic limb. The net result is a less stressed prosthetic limb. 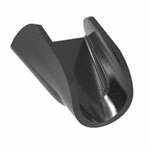 Crossflex™ wedges require no tools to add to the knee and are inserted at the knee axis. 20, 30 and 40 degree angle/positions are available. 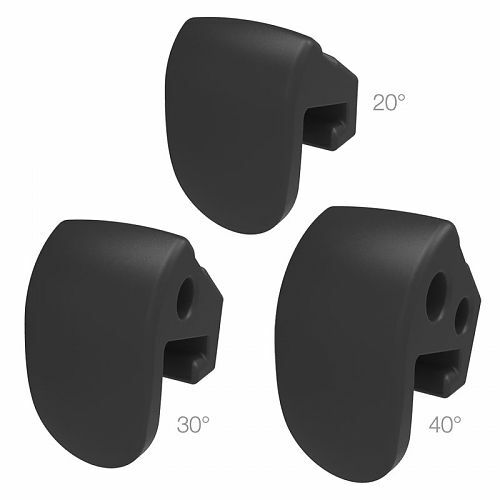 VED bumpers come in 75° and 85° durometer ratings and can be interchanged to address knee performance during stance phase. 85 durometer VED bumpers can be ordered separately. Multi-durometer Variable Extension Dampening "VED" bumper system.